The Party Wall etc. Act 1996 was conceived to enable a person to undertake work whist ensuring that neighbours receive necessary protection. The Act provides that a if a dispute arises a neighbour can engage a surveyor to resolve the dispute by an 'Award' and provides that the neighbour's costs are covered by the person undertaking the works. so far so good..
Surveyors make money from resolving disputes by an Award. A neighbour receives the full protection of the Party Wall Act once a notice is served. There is no need to have an Award. An Award is useful if there are real concerns or if the works involve a significant risk of causing severe damage. An Award enables Party Wall Surveyors to check that the design has been properly undertaken by qualified persons, and normally includes a prior Schedule of Condition of the neighbouring property (to monitor for any damage). The Act provides that an Adjoining Owner's surveyor costs can be re-claimed. The effect of this is that the surveyors can charge pretty much what they like. Unlike all other professionals who tender for work in a competitive market an Adjoining Owner's Party Wall Surveyor can charge an inflated fee based on an inflated hourly rate and there is no effective recourse to challenge what is charged other than by reference to another party wall surveyor selected by the appointed surveyors. When an Award is made by two surveyors the bulk of the work is undertaken by the surveyor appointed by the person doing the work. That surveyor would normally have agreed a fixed fee as free market competition applies. The surveyor appointed by the neighbour just checks the documents and may requires some alterations. But the fee charged by surveyors appointed by an Adjoining Owner is normally very significantly higher. No qualifications are required to be a Party Wall Surveyor - Anyone can do it. It is obviously a good thing if one has a construction related qualification and an understanding of building construction but it is a simple job requiring for the most just some practical knowledge of building and a degree of common sense. Surveyors appointed by Adjoining Owners will commonly quote fee rates between £150 - £250 per hour, plus VAT and disbursements (some less than this but some even more). It's common for Adjoining Owner's Surveyors to declare themselves unable to consider common structural issues (such as basement construction) and to engage a structural engineer to advise them. These "Checking or Advising Engineers" fees are also re-claimed from the person doing the work in addition to the surveyors fee. This practice is common even when the structural design has been undertaken by a qualified engineer and is subject to Building Control approval. The professional organisations do not do enough to correct these issues. Some Party Wall Surveyors are members of the Royal Institution of Chartered Surveyors. The RICS sets down ethical & professional standards for it's members. Other surveyors are members of the Royal Institute of British Architects. The RIBA also has a Code of Professional Conduct. If a notice is received for minor domestic work (i.e most lofts and extensions), and assuming there are no unusual issues or concerns we recommend that a neighbour consents subject to a prior schedule of condition. We do not believe in a manufactured 'dispute' leading to an unnecessary Award. If we serve a notice and an owner appoints another surveyor we will suggest that the neighbours surveyor be appointed as the agreed surveyor. There is seldom a good reason to have two surveyors but in this case the Agreed Surveyor must give a fixed fee (which may be subject to reasonable caveats). We will always accept an appointment as Agreed Surveyor if requested by both parties. We will charge a reasonable fee for what we do. If we are appointed by an Adjoining Owner we will not charge an inflated fee (click here for typical example fees). We will not encourage owners to withhold consent for Special (Reinforced Concrete) Foundations or consent for a new Party Wall by demanding that their neighbour waives their right to require a contribution should they use the foundations or wall in the future as a pre-condition to consent. This is contrary to the spirit and intent of the Act. As Adjoining Owner's surveyor we will not involve a "Checking or Advising Engineer" unless we have a specific good reason to be concerned about the structural design (or a concern that the design may not have been undertaken by a qualified person). We believe that if a Party Wall Surveyor accepts an appointment he or she should be adequately qualified and experienced to consider if the design has been properly made or to raise any relevant concerns or queries with the designers. 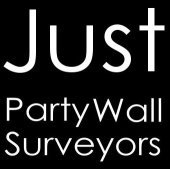 We are professionals and have qualifying experience to act as Party Wall Surveyors. Ask us for more information. If you're not one of us, you're one of them..